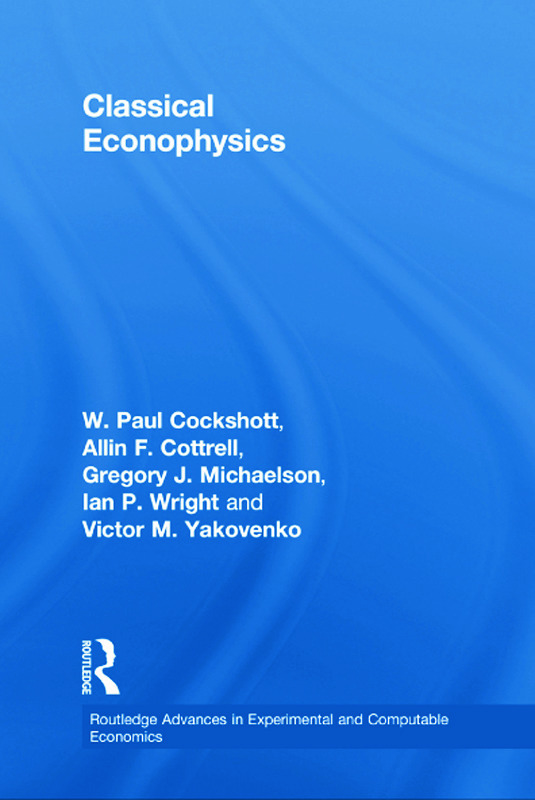 This monograph examines the domain of classical political economy using the methodologies developed in recent years both by the new discipline of econo-physics and by computing science. This approach is used to re-examine the classical subdivisions of political economy: production, exchange, distribution and finance. The book begins by examining the most basic feature of economic life – production – and asks what it is about physical laws that allows production to take place. How is it that human labour is able to modify the world? It looks at the role that information has played in the process of mass production and the extent to which human labour still remains a key resource. The Ricardian labour theory of value is re-examined in the light of econophysics, presenting agent based models in which the Ricardian theory of value appears as an emergent property. The authors present models giving rise to the class distribution of income, and the long term evolution of profit rates in market economies. Money is analysed using tools drawn both from computer science and the recent Chartalist school of financial theory. Covering a combination of techniques drawn from three areas, classical political economy, theoretical computer science and econophysics, to produce models that deepen our understanding of economic reality, this new title will be of interest to higher level doctoral and research students, as well as scientists working in the field of econophysics.